LCD displays: CNE can process used and surplus LCD panels — from the smallest smartphone screen to the largest flat-panel display — and help you capitalize on reuse and resale opportunities. We can grade any undamaged screen, assess its quality and tell you if it can be resold or if it should be responsibly recycled. Motherboards and graphics cards: Whether it’s new overstock from OEMs and ODMs or used boards from customer returns and asset recovery projects, CNE Direct’s experts know the market value of any type of motherboard or VGA hardware and can ensure safe disposition at the highest market value. CPUs and chipsets: Values and demand shift with lightning speed in the commodity Intel and AMD processor markets. Let our team of expert global market analysts assess current conditions and help you move your excess CPUs quickly at the best price. Mobile devices: Smartphones, phablets and tablets are in a constant refresh cycle. Meanwhile, demand is growing in developing markets for cost-effective access to refurbished older devices. Let CNE put these two forces together for you, giving you a path to the latest technology while getting maximum value for your previous mobility investments. Enterprises are retiring more IT equipment now than ever before. 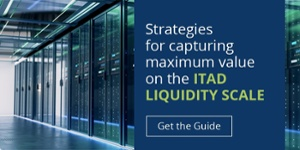 Coupled with the strong demand for refurbished electronics in developing markets and the global movement to improve environmental responsibility, the need for an effective ITAD strategy becomes increasingly important for enterprises. CNE expertly handles both decommissioning and reselling IT assets. We can get large batches of a variety of IT components processed and on the global market quickly, resulting in lower costs, less depreciation and higher return. When you choose CNE, you’ll be working with a partner that is committed to doing its part to get you maximum value from your IT assets while protecting the earth we all share.